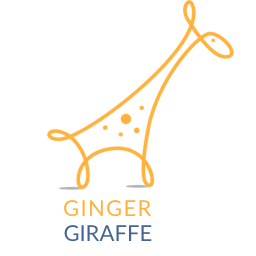 Ginger Giraffe is a co-operative of service users, PAs, professionals and carers. Our hub is in London, but we work across the UK and internationally. Ginger Giraffe provides placement opportunities that broker links between service users, Personal Assistants and students from interdisciplinary fields. Ginger Giraffe also conducts evaluation and research on co-production in health and social care learning, training and practice. A group of service users came together in 2008 firstly to carry out research on the effects of 'Personalisation'. This led to the development of a project to jointly manage personal budgets and the management of personal assistants and care. In 2012 we began to collaborate with social workers at London South Bank University to support the development of co-managed participatory budgeting. In 2012 we began to provide teaching and skills exchange for Social Work, OT and other Health and Social Care students at London South Bank University and other universities. Since 2013 we have been developing a placements hub using the methodologies we have developed through our research activity. In 2016 we established ourselves as a co-operative. At Ginger Giraffe we provide a unique opportunity for students of health and social care subjects to spend 100% of their entire placement with service users. The placement offers students and service users the opportunity to design, develop and action the entire placement together. Ginger Giraffe facilitates sessions between students and service users to ensure that professional competency frameworks are incorporated into the placement experience. Our approach is underpinned by 'Reflection' and 'Reciprocity' and the placement experience is designed to provide maximum 'face-time' with service users where students and service users can reflect and work together to meet each others needs. If you are interested in coming on a placement with Ginger Giraffe please ask your universities placement officer to contact us. Are you a qualified Social Worker, Occupational Therapist or allied health and social care professional? We provide opportunities for professionals to develop their professional practice by working alongside academics, practitioners and service users. If you are interested in exploring our CPD modules please contact us. Ginger Giraffe service users and collaborators are available to present, train and teach students and learners at every level. We have taught undergraduates and postgraduate courses we are skilled in providing bespoke training on a number of different health, social care, and innovation topics. For a training brochure please contact us. Are you a university interested in developing a Ginger Giraffe placements offer? We have developed training support and consultancy that can support you recruit service users, set up structures and support your local initiatives. If you are interested in our approach please contact us. Our organisation is founded on research and we pride ourselves in involving all collaborators we work with in our research projects. We have gathered a significant amount of research experience with board being made up of academics and innovators. If you have a research idea or would like to view a list of our mos resent publications contact us. My experience working along side ginger giraffe was positive, challenging and rewarding. The placement created a safe environment in which to explore and push my knowledge and practice as a student occupational therapist but also as an individual.